Its spent a long time in hibernation, but EA’s durable SSX franchise has finally emerged from its long slumber. Players who remember the fast action, massive tricks and intense gameplay of the original series won’t be disappointed, as the new game delivers all of these elements. New to the series are deadly descents that challenge players to survive incredibly difficult courses complete with avalanches and huge, run-killing drops. Add in extensive online play and social elements via the new RiderNet system and SSX brings a fresh approach to the series. SSX represents a solid comeback for the long-running EA franchise, and marks a welcome return for a series that hadn’t been heard from much over the past few years. This re-imagined game takes most of what made the original series great and adds a few modern twists to make a title that feels much more contemporary than you’d expect. The first thing to note is that instead of the fantasy courses that dominated the original game, you now have the opportunity to race on real drops from throughout the world. These have been scanned and rendered from actual geographic satellite images and look stunning in their full HD glory. Each of the world’s major mountain chains, such as the Andes, Alaska, Siberia, and Antarctica have been faithfully reproduced in a photorealistic manner, and this authentic approach gives the game a realism that the earlier titles lacked. The game allows you to play through these ranges in a variety of different modes, and each track is labeled with its race type and difficulty, so you can back out if you don’t feel ready. There are over 150 tracks available in all, and while this might be intimidating, you can focus on smaller sections of the global map, earn medals and complete them before moving on to bigger things. New players might find it a bit overwhelming at first, but they can start with SSX’s story mode. This lets you follow the adventures of a single boarder as they try and follow an outlaw rider’s tracks around the globe in a predetermined series of competitions that gradually increase in terms of difficulty and challenge. You can’t change the order of races, and some of the earlier tutorial missions can be a little tedious, but that’s what makes it a good introduction to the basics. Once you’ve completed what basically amounts to an extended tutorial, you can continue through other courses in the Exploration mode. Here, you’re allowed to go anywhere in the globe and try and beat the mountains and earn medals. This more-open mode is where SSX really shines, since it offers much greater flexibility. While you can’t play everything at first, new courses and routes can be unlocked by winning races and earning medals. Finally, the game includes a new online mode called Ridernet. This is where the online features kick in, allowing you to race against others online, post your best scores and use the social media features to unlock additional races, challenge friends to a race or watch replays of other players’ runs. It’s a very cool feature and works seamlessly to create an excellent online companion to the standard race modes already included. Once you’ve selected which mode you want to race, you can then select which character you want to use. Each rider has their own strengths and weaknesses, and players familiar with the earlier games will find a few familiar faces have returned. This lends SSX a degree of familiarity, but the new title adds some new twists to the formula that give the game added depth and variety. As you might expect, there are a mix of traditional and new elements in the title. From a structural viewpoint, the game is offers players a fairly open path to explore once you get beyond its rigid story mode. SSX offers three distinct types of races for you to compete in, with many variations on each type of race. The first are straightforward races where the objective is to beat the other players to the bottom of the mountain in the fastest time. You can use boosts and short-cuts to shave those precious seconds off your time. 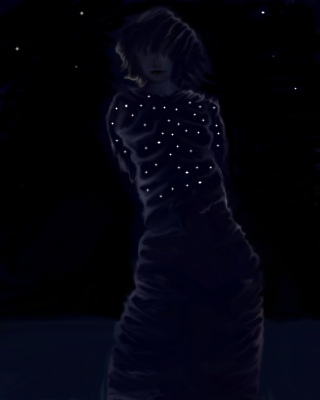 Helpfully, your opponents also leave ghost streaks on the course to help point you in the right direction, and you can look for flares and other signs as well on your descent. There are also trick courses, where you need to earn the most points to place in the standings. Its not as easy as it sounds, since the opponents are usually almost flawless and you need to pull of might chains and tricks to rack up points. Finally, the most interesting twist on the formula comes with the Deadly Descent courses. These are extremely difficult courses, with sharp curves, fatal drops and challenging course layouts to traverse. Unlike the other modes, you only have a limited number of rewinds until you are defeated, with the challenging layouts, you can use these up fairly quickly. SSX’s array of courses also include a number of new obstacles that you need to avoid, such as triggered avalanches and extreme cold that you have to survive. These new elements help to refresh the formula, adding urgency and excitement to the proceedings. Another new part of SSX are the mods and upgrades you can purchase between races. These allow you to buy faster boards, better suits and other options. Some of these are quite cool, like the night vision goggles that help you see on dark courses, or the beam lights that make low-visibility tracks easier to navigate. Each upgrade is ranked in terms of its effect, and more importantly how much it increases the survivability of the run. Some courses require specific mods to be equipped before you can race them, and having the correct ones equipped before each race can make all the difference. There’s quite a few of these in the game and players can mix and match them to see which ones work best on each course. Once you hit the slopes, SSX’s gameplay doesn’t diverge too far from the original game, though there are some interesting twists that keep things fresh. As in earlier titles, you can gain extra points, speed boost and access to Tricky mode by performing stunts when you reach big jumps and make massive air. Tricks include basic spins and grabs plus more elaborate moves and turns where you can chain different moves together. Executing and landing these moves increases your score and adds to your boost meter, which can be multiplied out if you perform them in succession without crashing. You can also add to your score by grinding various objects, making massive jumps over gaps or and other actions. SSX also lets you perform a quick rewind if you miss a stunt or fall into a gap. How many rewinds you get depends on which mode you’re in. You have to use these carefully, since they take a lot of points off your score in tricks mode. Another penalty comes in race mode where you can rewind but your opponents and the clock keeps going. Using a few of these during a single run can make it almost impossible to win, so you need to be careful. Going for a few practice runs to memorize the layout and figure out where the traps lie is essential, if have any chance of avoiding plunging out of contention. SSX can be surprisingly difficult at points, with frequent rewinds and unforeseen drops making some sections very difficult to traverse. This can make the gameplay a bit more frustrating than it needs to be which is disappointing. However, the game succeeds for the most part in creating a believable and exciting environment that allows you to shred and race in some intense and dangerous sections. Its HD graphics are crisp and sharp with a consistent framerate and generally good camera angles that don’t get in the way. Additonal elements such as the new deadly descent modes do a good job rejuvenating the franchise which is further enhanced by the mods you can purchase for your rider. Its new RiderNet online features mirror those seen in the Need for Speed series and this system is impressive in its intuitiveness and transparency. 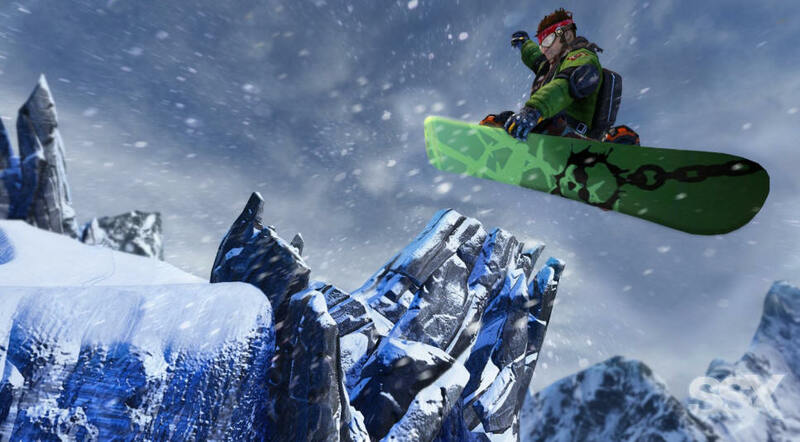 These new elements give SSX added depth and replay value while the main gameplay remains true to the feel and style of the earlier games in the franchise. SSX isn’t a complete reinvention of the franchise, but it offers enough that feels new to make it a worthwhile update to the long running series.